One way to start planning for your future is by creating a my Social Security account online. With my Social Security, you can verify your earnings, get your Social Security Statement, and much more – all from the comfort of your home or office. 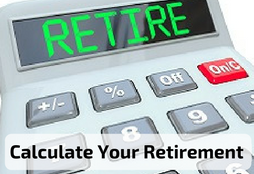 Additionally, Social Security has a variety of calculators to help you plan for the future. Using these calculators can help you understand the impact of the decisions you are making today. And, we know that you will have additional questions. We are here to help you. Just give us a call at your convenience. Quick Calculator: With the quick calculator you get a rough estimate of your benefits in today's dollars or future dollars when you input your date of birth and this year's earnings. Does not include WEP reduction. You must be 21 or older for this calculator to work correctly. Retirement Age: Find your full retirement age and see how your monthly benefits may be reduced if you retire before your full retirement age. Earnings Test Calculator: See how your earnings may affect your benefit payments if you are currently working and are eligible for retirement or survivors benefits this year. Early or Late Retirment? : Determine the effect on your benefit amount if you file for early or delayed retirement benefits.